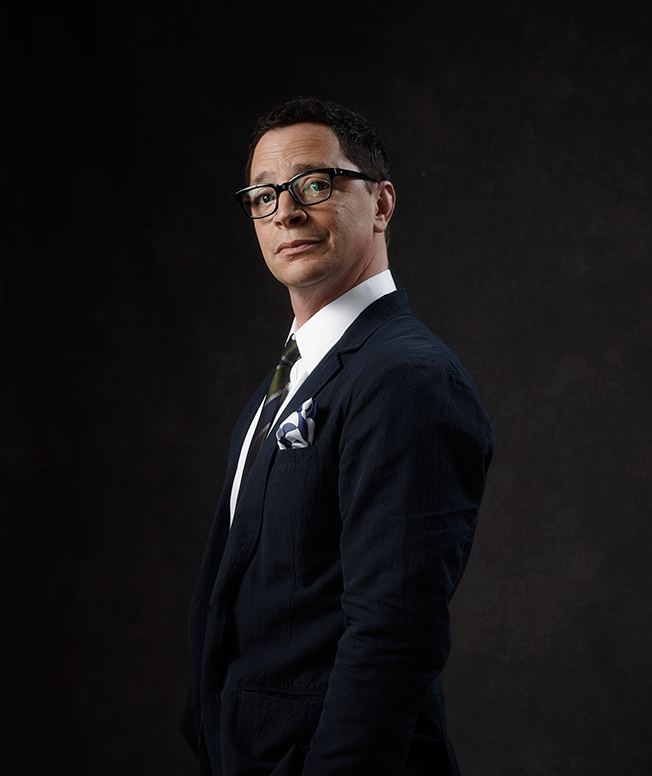 Claim to fame Plays attorney general David Rosen on Scandal; previously also mixed TV and politics as Will Bailey on The West Wing. The first thing I do is very analog. I say this brief Jewish prayer, the Modeh Ani: "Thank God, my soul is back, I'm alive again." Then I [corrupt] my psyche by plunging into social media. I'll check my email, and then it's on to the news, which usually involves stumbling to the end of my driveway to get The New York Times, excitedly tearing the bag open and going straight to the arts section. Did you use Twitter before Scandal? I have been a big Twitter guy since 2009. I'm happy to give ultimate credit to Kerry [Washington] and Shonda [Rhimes], but I was definitely part of the charge [to get the cast to live-tweet each episode]. Shonda dubbed me her IT guy. You're not afraid to spar with people on Twitter. I feel like I'm under the radar enough to not have to be super careful. I mean, I'm aware we live in an age where you can say one thing that is taken at not the way you intended it and your career could be over, so I try not to be completely foolhardy. And if someone wants to get a good crack in at my expense, that's fine. One of your favorite practical jokes is tweeting "I'm horny" from someone's phone if they leave it unattended. Where did that come from? I have to give credit to my friend Ajay Sahgal, who is a TV writer. I may have stolen his gimmick and done it in a more high-profile way. The hours are long on any TV show, and there's a certain boredom that sets in, which is alleviated largely by pestering the other people on the show. Is that why you've been using Periscope so much, to fill the gaps in shooting? Yes. Half the time you don't know if you're going to be sitting down for three minutes or you have an hour. I'm always surprised that people seem to enjoy it as much as they do. I'm a chronic insomniac. It's what my wife calls my secret other life, where everybody goes to sleep and I catch up on all this television, like Game of Thrones. There's also family shows we can all watch together, like Modern Family and Fresh Off the Boat. And a lot of low-reality TV. I love my Survivor, and I enjoy my Bachelor and concomitant spinoffs. Do you have time to fit any books into the mix? Since I was a kid, I always was a voracious reader. I reread Pride and Prejudice recently because the next book I'll probably read is Longbourn, which is a retelling of Pride and Prejudice, but from the servant's point of view. And you know what, that Jane Austen, it holds up! It always hits me how funny it is and how wise it is. I am a podcast fan, so I'll throw them on my phone and listen to them in the car. I'm a big WTF [with Marc Maron] fan. There's another podcast called Song Exploder, created by a friend of mine. It's a really great dissection of the anatomy of a song. Then there's a podcast called Crybabies. Sarah Thyre and Susan Orlean interview people of note about what makes them cry, which I think is great. This story first appeared in the Oct. 26 issue of Adweek magazine. Click here to subscribe.